Bush Hill Bowls shop has good stocks of shoes, bowls and clothes and their prices are as good or better than most. The fact that the owner, Jerry is a level 2 qualified coach means you get good advice about the game too. We stock bowls from all the makers in sizes from 0000 to 5. Prices start at £200 for a new set of Black bowls. Second-hand bowls start at just £40 a set. 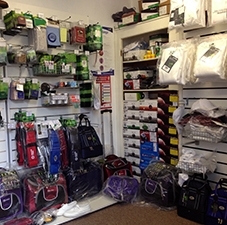 We have a full range of clothing and accessories including shirts, trousers, spray chalk and grip. 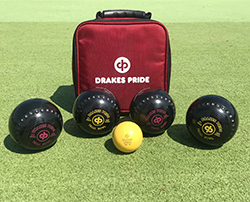 Our spray chalk comes in both white and lilac and our prices are the best on the internet - visit www.bushhillbowls.co.uk to get all your bowls requirements.